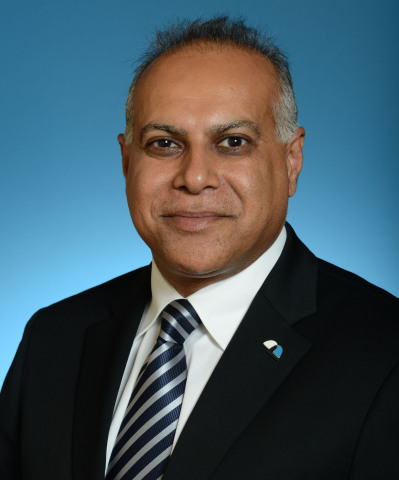 BankUnited announced the appointment of Hakim Kassam as senior vice president and national sales manager for its small business finance department, which received a boost last week when BankUnited announced it completed its acquisition of CertusHoldings’ Small Business Finance Unit, one of the top 20 Small Business Administration lenders in the United States. Kassam, who joins BankUnited from Wells Fargo Bank in Fort Lauderdale, will be responsible for leading a nationwide team of SBF business development officers. A top producer of SBA loans, Kassam has previously been recognized by the SBA as a Financial Services Champion of the Year for Florida and the southeast region of the U.S. He has worked in the banking industry for more than 24 years, much of which was spent leading teams of small business loan officers across the southern and eastern regions of the United States. “Hakim is an authoritative expert on small business financing, who will lead and grow BankUnited’s small business finance department. We are pleased to welcome him to our BankUnited team,” said Bankunited Chairman, President and CEO John Kanas. A Coral Springs resident, Kassam graduated from the University of Miami with an MBA in finance and a bachelor’s degree in business administration. Kassam will be based at BankUnited’s Downtown Delray office, 331 East Atlantic Avenue. For more information call (877) 779-2265 or visit www.BankUnited.com. BankUnited, N.A., a national bank and wholly-owned subsidiary of BankUnited, Inc. (NYSE:BKU) , is headquartered in Miami Lakes, Florida with 100 branches in 15 Florida counties and six banking centers in the New York metropolitan area at March 31, 2015. Ranked third on Forbes Magazine’s list of “Best Banks in America 2015,” and one of the largest independent depository institutions headquartered in Florida by assets, BankUnited provides a wide range of commercial and consumer banking services. For additional information, call (877) 779-2265 or visit www.BankUnited.com. BankUnited can be found on Facebook at facebook.com/BankUnited.official and on Twitter @BankUnited.